December’s flower is the Narcissus, a perennial plant that gained its name and reputation from a Greek myth. “…Surely he desires my love and my embraces, for as oft I strive to kiss him, bending to the limpid stream my lips, so often does he hold his face fondly to me, and vainly struggles up…” (3.433 Brookes More translation). The myth ends as the little flower grows in the spot where Narcissus died; it also bends down towards the water. Perhaps it is no coincidence then, that the last month of the year, in December, is when we all reflect back on the past year’s memories. The word reflection itself comes from the Latin, literally “a bending back,” “to bend back, bend backwards, turn away,” from re- “back” (see re-) + flectere “to bend”. 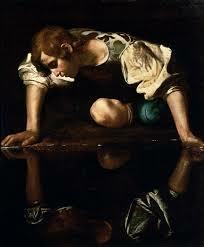 That act of bending by Narcissus to catch a glimpse of himself in the pool is almost the the same act of “bending back” when we engage in reflection. Today, the ability to “bend back” and reflect is surprisingly easy. Social media will aggregate anyone’s photos and posts. For example, on numerous occasions, Facebook has invited me to review “Your Memories on Facebook” telling me that “we care about you and the memories you share here. We thought you’d like to look back on this post.” Such offers are a kind of Narcissistic indulgence. Most of the footage for each the videos came from the camera lenses of ordinary people who captured extraordinary moments across the globe over the course of the year and who posted these images on websites or social media. We all now have the chance to reflect on their contributions, and in this sense, we are all Narcissus, gazing into a pool of our collective memories. There is one final link between Narcissus and the practice of reflection at the end of the year that can be found in the flower’s naturally occurring chemical called Galanthamine. Research has discovered that this chemical is capable of easing the symptoms of dementia among those suffering Alzheimer’s. 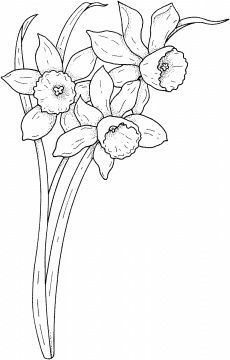 This means that the Narcissus flower is associated chemically with memory as well as being associated mythologically with reflection.